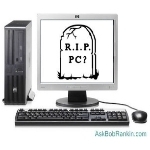 Industry analysts at Gartner & IDC are out with reports predicting a ‘revival’ for the PC market. 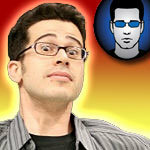 Chris Pirillo: Will the Google Chromebook Kill (or Just Maim) the PC Industry? Google’s Chromebook puts the Google Chrome browser inside a notebook computer that you can rent for as little as $20 per month. This, coupled with its various cloud services, creates a compelling case for average users to make the switch.